Tina Fey and Chelsea Clinton are both wearing a red lacy dress by Oscar dela Renta. Who wore it best? Tina or Chelsea? 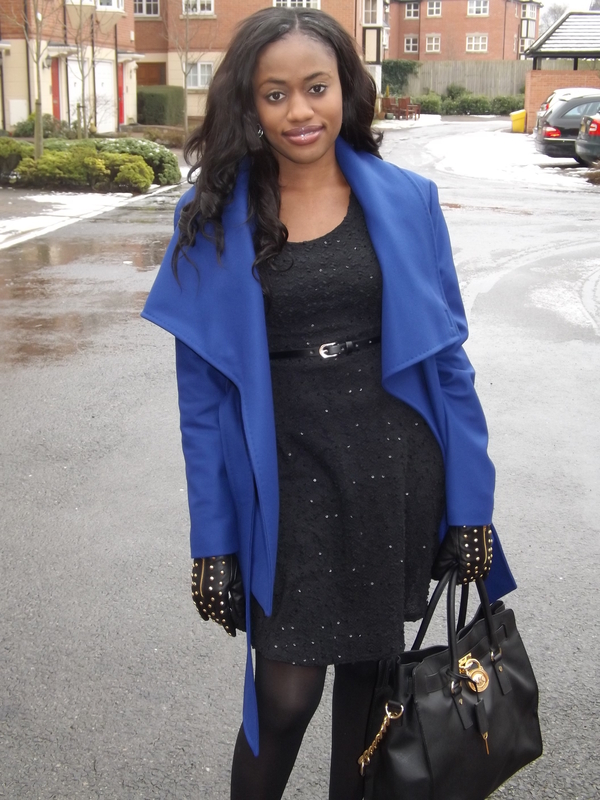 Blue Matild Short Wrap Coat by Ted Baker – This kept me so warm, I love this shade of blue. Black Popcorn Knit Cap Sleeve Dress by New Look – I felt so beautiful in this dress. Black Opaque Tight by Next – This is a must have for this season. 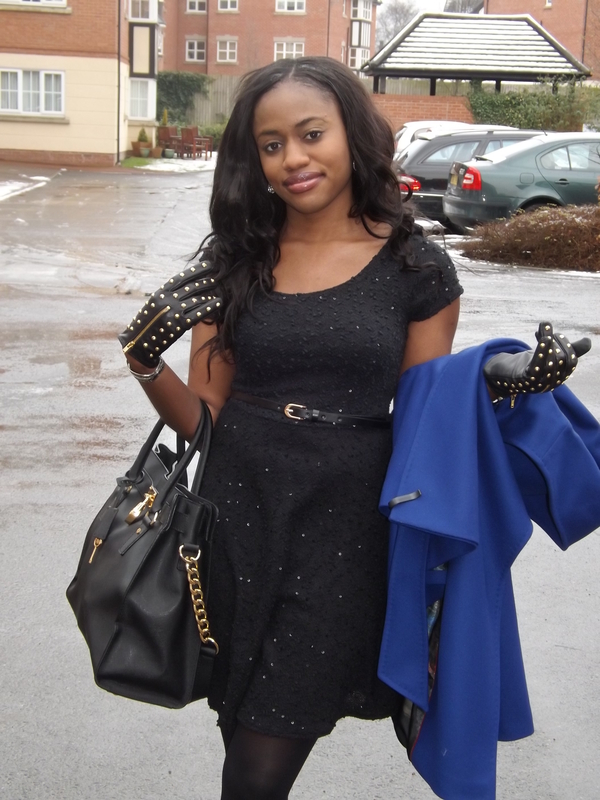 Black/Gold Studded Gloves by River Island – This kept my hands really warm. It does the work and it is super stylish too. 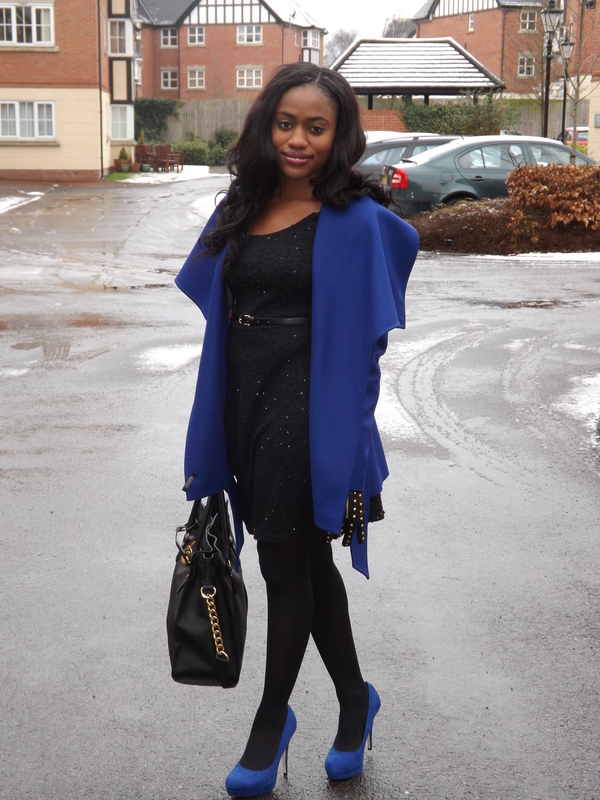 Blue Cobalt Platform Courts by Dorothy Perkins – I love this colour, it just pumped out in the snow. 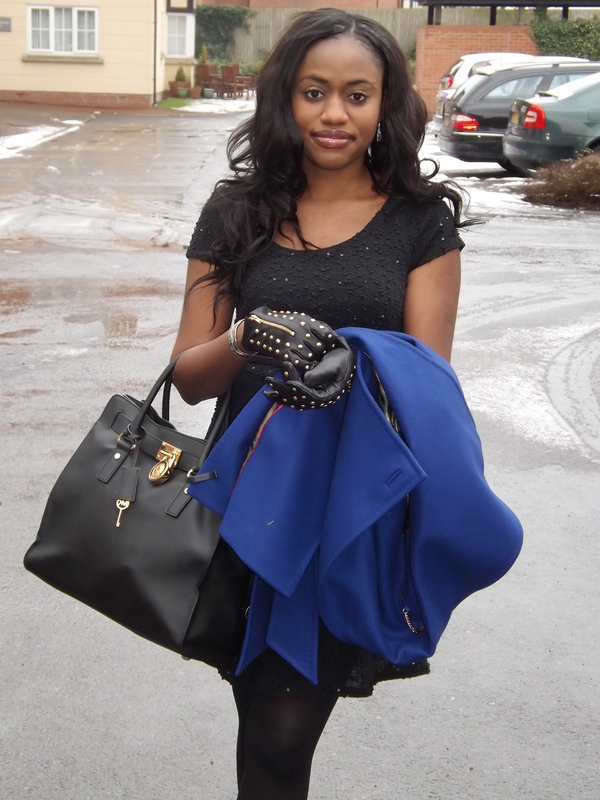 Black Bag by Michael Kors – My favourite bag at the moment. Earrings by Swarovski – A present from a special someone (I will take more pictures wearing this so You can see how sparkly and beautiful it is).